I've blogged some book reports of Siri Hustvedt's work before (here). She is one of my favourite living writers. I especially love how she personalizes philosophy and psychology (both in fiction and in autobiography). 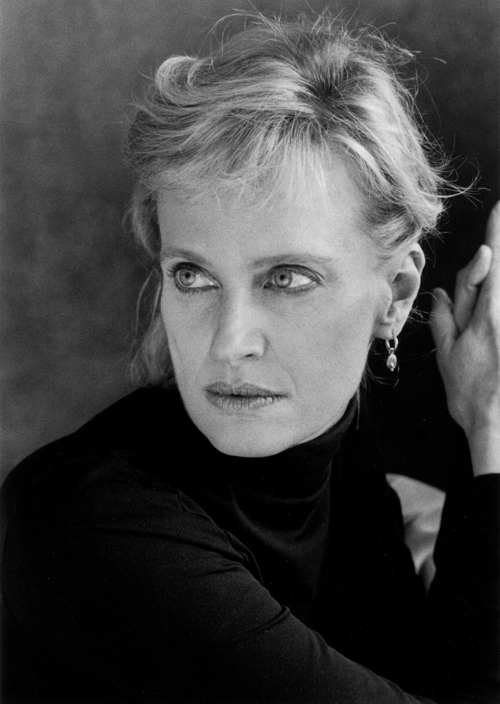 I vividly remember reading an interview with Hustvedt when I was in university and they described her study as filled with both back issues of Vogue and scientific journals. This was a revelation to me. I was always a little ashamed of my love of fashion, thinking it made me less serious, or intelligent. Reading that interview helped me rethink that. It was one of my failings as a philosopher that I wanted ideas to click at an intuitive level as well as being philosophically arguable. In that way, I always put myself at the centre of my philosophy. I know this sounds egocentric, but I think it's impossible to extract oneself from philosophy. Even Descartes' Cogito ergo sum (I think, therefore I am), starts with a sense of self. It's personal from the get-go. It seems a fallacy to pretend thought can begin elsewhere. Siri's memoir The Shaking Woman owned this idea wholly and I loved her for it. She's such a bright spark, able to grasp complex fields of study. But there's also an incredible humanism in her writing. In trying to relate ideas to herself, she's helps us relate to each other and move away from ideas of isolation. Reading her memoir helped strengthen my resolve to write more honestly about those feelings I'm inclined to dismiss or squirrel away. In that way, I think I most admire Hustvedt because her work lets us know she's not bulletproof and we're not expected to be either.